Senate Majority Leader Harry Reid, D-Nev., has endorsed a proposal to reverse plans by the U.S. 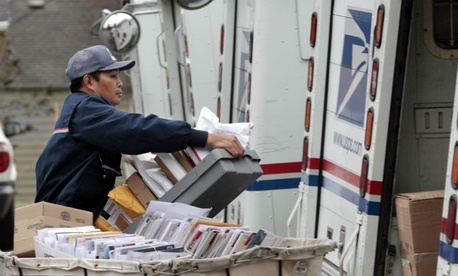 Postal Service to close an additional 82 facilities in 2015. Reid’s was the 51st signature on an Aug. 14 letter to the Senate Appropriations Committee, meaning a majority of the legislative body now supports the effort to delay by one year any closures of postal plants. The letter asks the committee to attach the consolidation moratorium to any spending bill it advances. Congress has until Sept. 30 to pass some type of appropriations measure to keep government open. USPS has already shuttered about 141 facilities during the first phase of its “network rationalization” plan, which began in 2012. Those closures generate annual cost savings of $865 million and resulted in “negligible” service impacts, according to the Postal Service. The new round of consolidations was originally scheduled for February 2014 but was pushed back for undisclosed reasons. The closures are part of an ongoing effort to streamline postal operations. A Senate bill introduced before USPS initially decided on the delay would place a two-year moratorium on processing plant closures. That bill cleared committee and is awaiting a vote on the floor. In the absence of the Congress reaching any agreement on comprehensive legislation, Postmaster General Patrick Donahoe opted to move forward with his consolidation plan unilaterally. USPS did not lay off any employees as a result of the initial consolidations, instead relying on employee relocations and attrition measures. The agency has promised to again follow that blueprint. A Government Executive analysis of postal estimates show the consolidation plan will result in a net job loss -- jobs lost at each facility minus those being relocated to existing plants -- of 7,320. The average plant will lose about 92 positions. The Queens Packaging and Distribution Center will shed 636 positions, the most of any facility. The map below shows where each closure will take place. Click on the pins to see when the closure is scheduled to take place how many net job losses USPS predicts for each facility.